The above picture is another way in which you can incorporate luxurious Hollywood style into your space without having to introduce too many new elements. Gold, black, and white are three colours that come to mind when you think of Old Hollywood glamour and vintage expression. 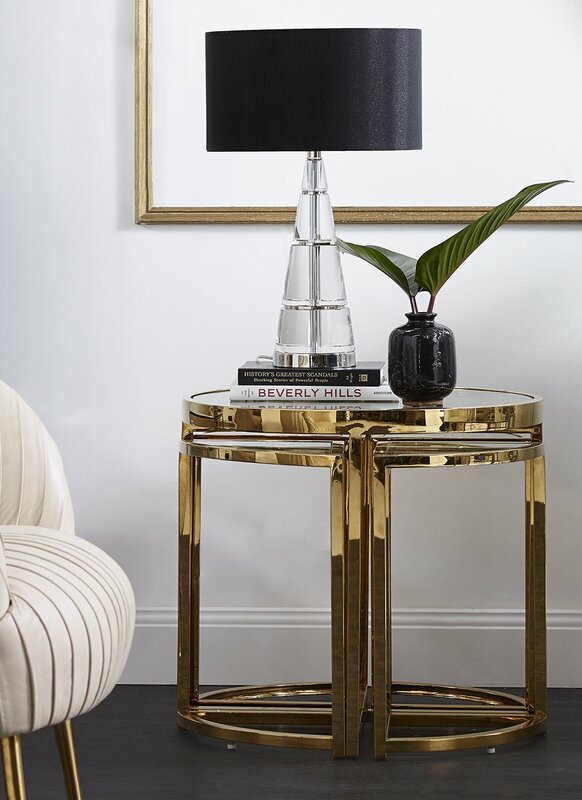 The gold-plated nesting table is the perfect piece to incorporate into the space especially when paired with the natural coloured armchair and the glass and black accents on the table lamp.